Paul Young sits staring at nothing at all. 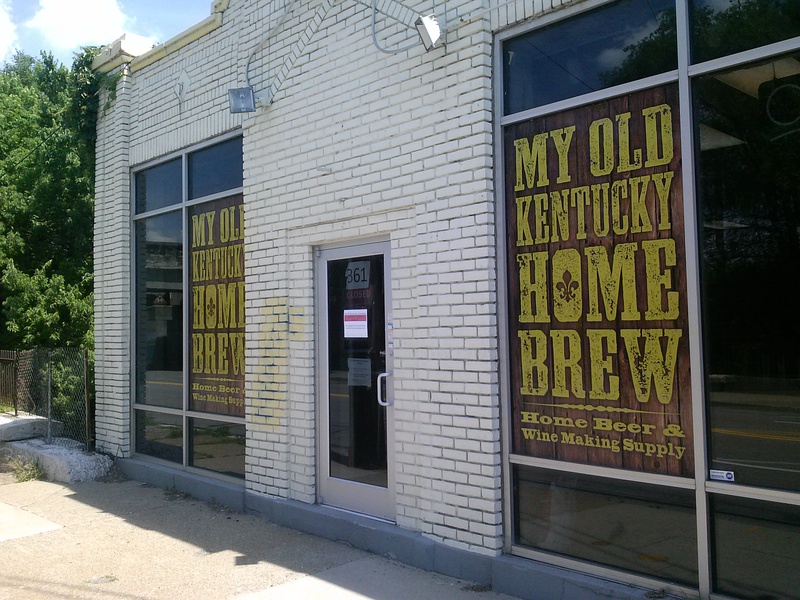 He says it still doesn’t seem real, but he has nevertheless decided he must close My Old Kentucky Homebrew, the business he launched six-and-a-half years ago to serve local brewers. Sales have waned in 2015 to the point that a tough decision had to be made, he says. “This is not a decision I want to make,” he says. The homebrew shop, located at 361 Baxter Ave., will be open mostly only on weekends through Father’s Day, he says. Young informed the owner of the rented space he will be out by the end of June. Also, sales in the store have sagged. 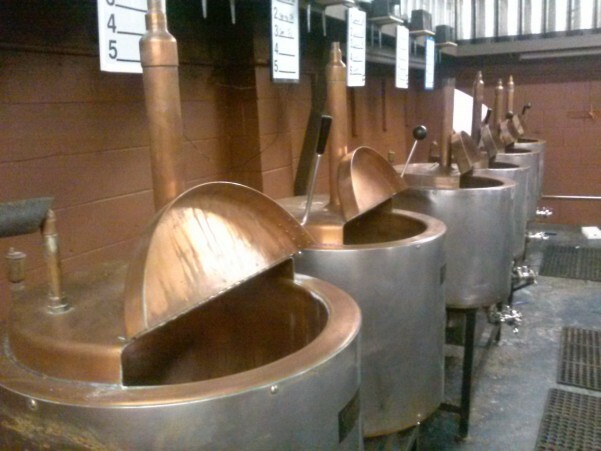 Young says he noticed this past Christmas that, while overall sales were good, there were fewer sales of new brewing kits, suggesting fewer people were becoming homebrewers. Then in January, which had traditionally been the second best month of the year for the store (behind December), sales strangely fell off a cliff. The slowdown in sales made it difficult and sometimes impossible to maintain stock, Young says, which only added to the problem. He wasn’t always able to stock some of the basic things his customers needed. Still, Young remains baffled by the sudden change in a time when craft beer is booming like it never has before. He wonders if the availability now versus six years ago is playing a role — since there is so much beer to try, perhaps beer drinkers are simply taking advantage of the fact they can find a great beer selection at local gas stations and grocery stores as opposed to brewing it themselves. In addition, certain supplies used in brewing can also be found at places like Target and even Bed Bath & Beyond, he says, and often at cheaper prices. And it could simply be that homebrewing is seeing a lull, wherein new brewers simply aren’t coming along. Young is now trying to sell the brewing system, which includes six 20-gallon kettles, as well as a pair of coolers and other items in the store. If he can do that and take care of many of the expenses that have piled up, he says, he will look to reopen My Old Kentucky Homebrew in a different incarnation. He isn’t giving up on the brand. Young is distraught over the decision he’s been forced to make and admits he still wakes up in the middle of the night thinking of ways to turn the tide. He says he wants to come into the store, unlock the doors and pretend everything is OK. But he knows it isn’t. He likens his affection for the store and what he’s built into the love one might feel for a child. But his biggest regret is how it will affect his regular customers, especially those heavily involved with the LAGERS Homebrew Club who patronize My Old Kentucky Homebrew. In fact, he hasn’t even told them. Young says he isn’t sure what’s next. He hopes to remain in Louisville, but admits the store — aside from loving the city and the brewing community — primarily is what keeps him here. Still, his hope is not only to stay but to find a way to reincarnate My Old Kentucky Homebrew. Time will tell. Meanwhile, he has the unenviable task of not only closing the store he loves and selling his equipment and supplies, but also wondering what exactly went wrong. Well, that hurt to read. It hurt to write it.